All – This class is designed to be a total body workout sculpting every major muscle group by combining light weights with traditional yoga postures and core exercises. The routine flows from one pose to the next while working toward total mind/body harmony. This class includes a vigorous lunge series with extended standing balance and floor stretch moves, and will burn fat, while lengthening the muscles for a more lean physique. This workout is the perfect complement to your regular yoga or Pilates practice! 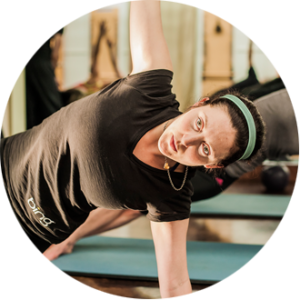 All – In this boot camp styled class we will combine free weights, personal training and traditional Pilates body-sculpting exercises in a fast-paced class. This class will work those key muscle groups to the point of fatigue and then lengthen and stretch those muscle groups to give you the kind of body that is strong and contoured, yet long and lean.